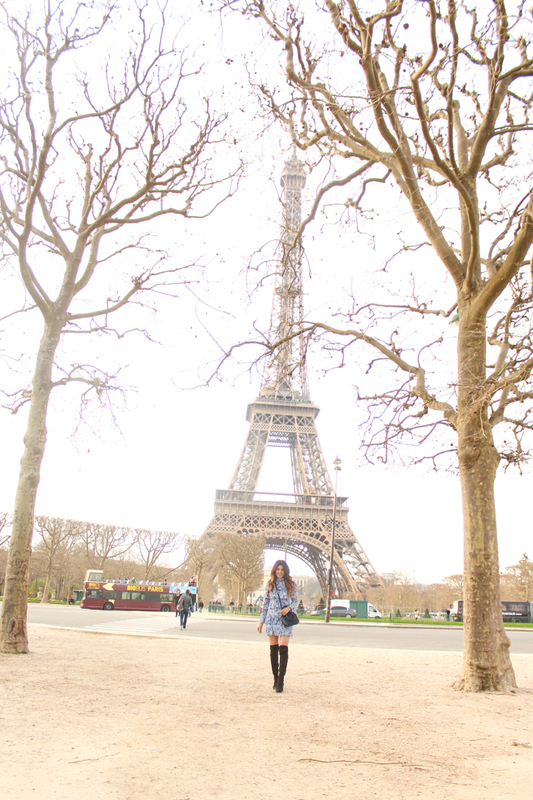 Today I wanted to share the look I wore when we visited Paris last month. It took a bit for me to get the blog post together, but I just had to share because I am so obsessed with this dress! When we were there, it was a bit cold. So this long sleeve dress and over the knee boots were perfect. 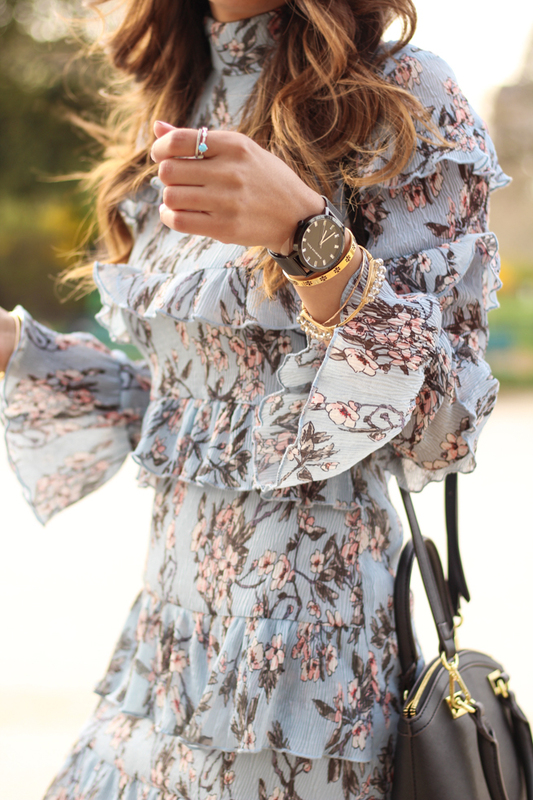 I also fell in love with all the ruffles and the cute floral print. It's funny how things become memories- and everytime I look at this dress in my closet I remember all the shennaningans of this Spring day in Paris. Later this week I'll be sharing a full recap of our trip.